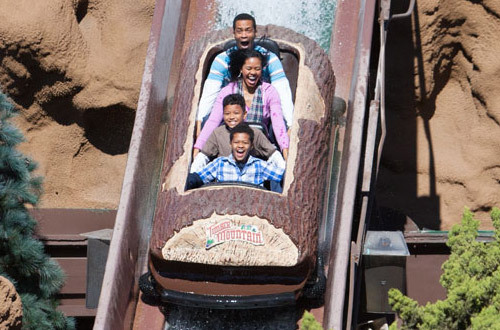 Ride the longest, tallest, and fastest wood roller coaster on the west coast. 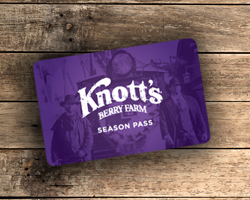 Fun is always in season at Knott’s Berry Farm, Southern California's premier vacation destination! 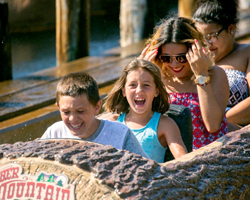 With dozens of rides, shows and attractions in four themed areas, plus Knott's Soak City, Orange County's largest waterpark, there's more to do than you'd ever imagine at Knott's Berry Farm. From the timelessness of a stroll through Ghost Town and the endless entertainment of the award-winning shows to the swimmingly splashtacular fun of Knott's Soak City Water Park, you won't want to leave after just one day. Fortunately, the Knott's Berry Farm Hotel has all the comforts of home just steps away from the park entrance! 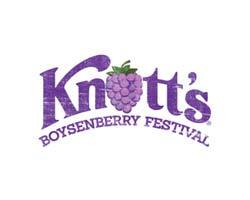 Knott's Berry Farm is located in Buena Park, California, which is the center of Southern California. 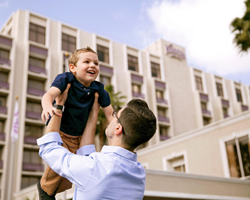 Nestled between Los Angeles and San Diego, the City of Buena Park is a beacon for fun-loving travelers and the Knott's Berry Farm Hotel is a perfect base camp for a Southern California vacation. Disneyland is located just 5 miles away and Universal Studios is only 30 miles way from Knott's Berry Farm. From the big thrills of Silver Bullet and Xcelerator to the little thrills of Camp Snoopy, Knott's Berry Farm has the kind of fun you are looking for in a place where the fun never ends! 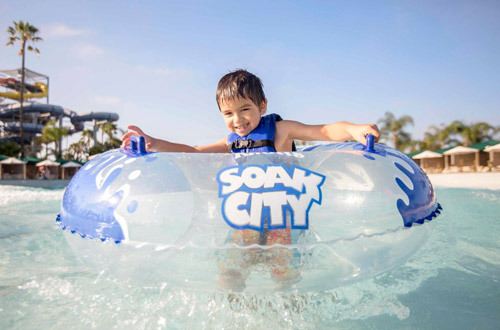 Knott's Soak City is the perfect, splashtacular complement to all the fun of Knott's Berry Farm with towering slides and relaxing and refreshing pools. Best of all, it's included with your Gold Season Pass! Knott's Soak City is open seasonally from mid-May to mid-September. 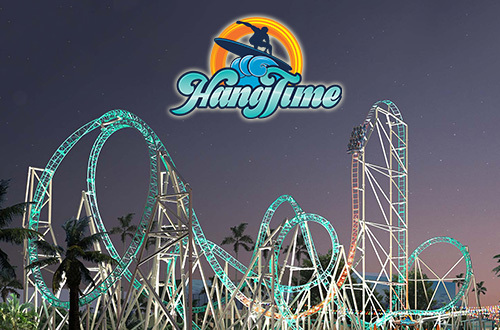 HangTime, a brand new steel roller coaster - the first and only dive coaster in California - is now open at Knott's Berry Farm!